French children all eat a fourth meal during the day. It is called 'Le goûter'. French children (from 3 years old) come home from school around 4:30pm. They usually have had a very decent warm meal at school at lunchtime. Yet dinner is not until 8pm at home with the family. So, to keep going in-between, 99% of children have a small snack between 4 and 5pm. 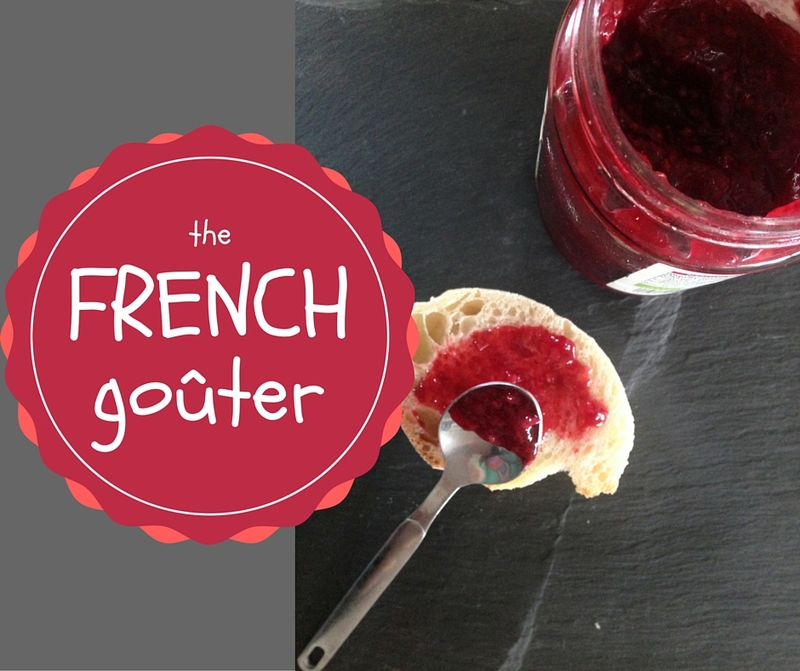 This snack is called goûter (pronounce it like here). It is also sometimes called the 4-o'clock (le quatre-heure). This snack is 99% of the time sweet. Some of our family favourites include a slice of bread with some butter and grated chocolate over the top, a few biscuits/cookies and a glass of milk, a toast with jam, a fruit and a hot chocolate in winter or an ice-cream in the summer. 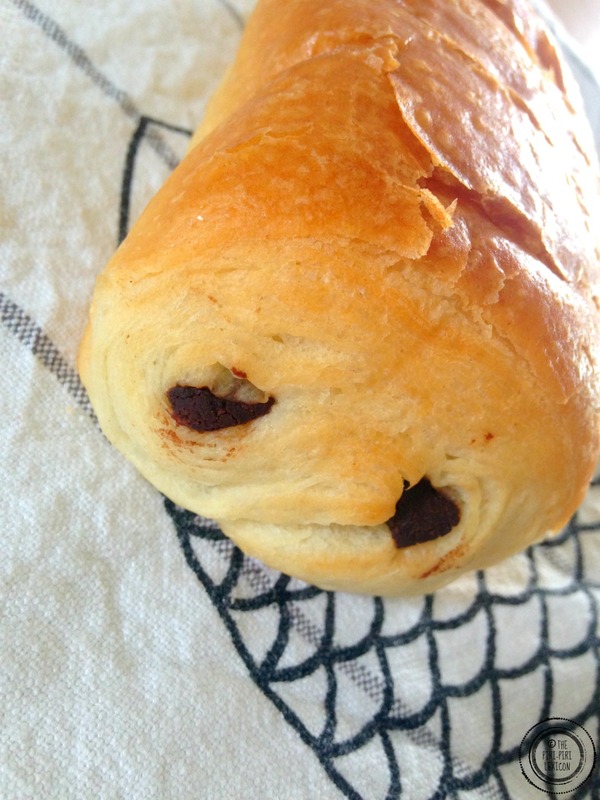 Crêpes, croissants and pain au chocolat also make appearances. Many French kids drink water. Plain tap water. Some add syrups to it (or too milk). A French favourite is grenadine (a tart and sweet syrup with a deep red colour made of red fruits). My kids do not like it. It is way too sweet. I am not a huge fan of syrups either. Sugar overload? Obesity? I don't know. It is mostly about being able to keep going if you then go to extra-curricular activities and to last until dinner time. Obesity is not as huge a problem in France as it may be in many other western countries. Food is not seen as something bad. It is something we all enjoy. Moderation is key as well as burning off the energy later on. Children do not snack in-between meals and this may be partly due to the fact that this fourth meal keeps them going for longer. Children often help prepare this little meal or pick whatever they fancy having for it. As a child I couldn't live without this goûter. 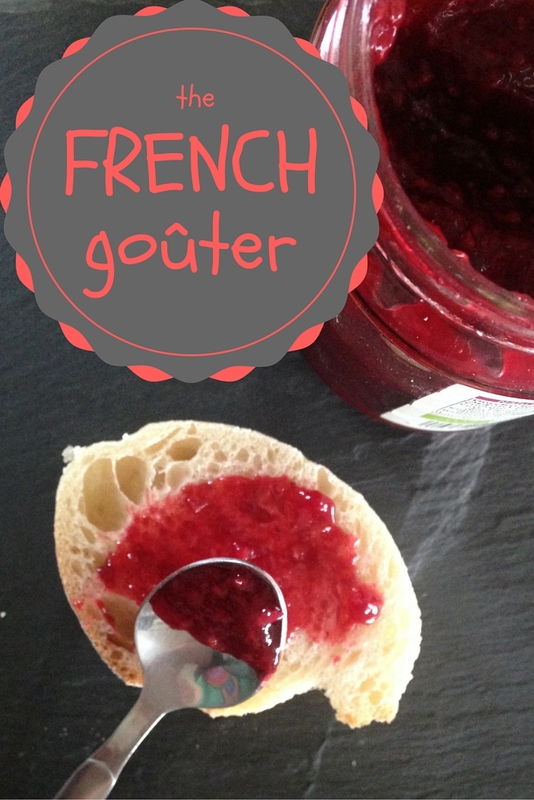 As a French mum living abroad, my children do also eat goûter in the afternoons. Our bilingual kindergarten in Germany also follows this French tradition and serves the children fruits or vegetables with water to drink. I am not sure French schools would serve vegetables for goûter (raw cucumbers, peppers, carrots, etc). That is the German touch added to it. Yet another way we bring our own home cultures with us and show our children different ways of living and eating. I am curious to hear about where you are. Do your children have a snack during the afternoon? My wife looks after our grandchildren at times during the week, and my grandson gets home from school between 3:30 and 4:00, and she makes him (and his younger non-school-age sister) a snack to tide them over until Mom gets home later. It seems to perform the same function as la goûter but doesn't - as far as I am aware - have an official name other than "snack time." 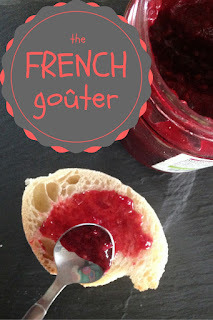 Maybe we should take to telling the kids it's "goûter" time! You really should. I am sure they would love it. Bread, (salted!) butter and dark chocolate is a great classic and a favourite in our family!